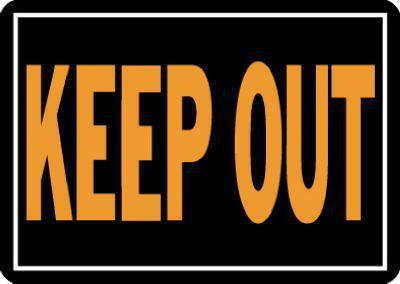 Reusable door and wall signs are easily customized to display your message. Durable, tamper-resistant, protective lens just snaps into place. May be permanently attached to walls. New inserts can be easily created and changed out as needed. 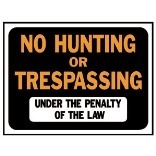 Frame Color: Black; Size: 2 x 10; Insert Size: 2 x 10; Material(s): Plastic. 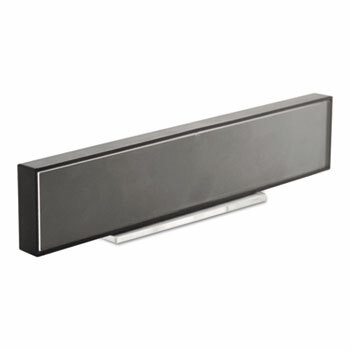 Attracts Orioles and keeps them cool at the same time! All orange color attracts nearby Orioles and 12 inch diameter baffle blocks out sunlight which keeps the feeder underneath cooler. Shade also keeps nectar fresher so it lasts longer. Feeder in picture not included (shown SEBCO243 Fliteline Oriole 48 oz). 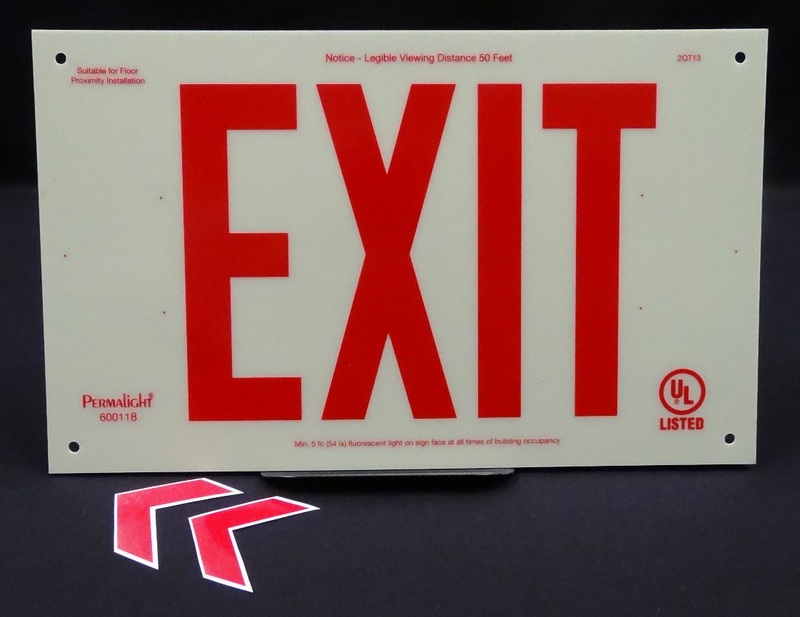 Plastic EXIT Sign, RED 6" letters, 7-11/16" X 13". 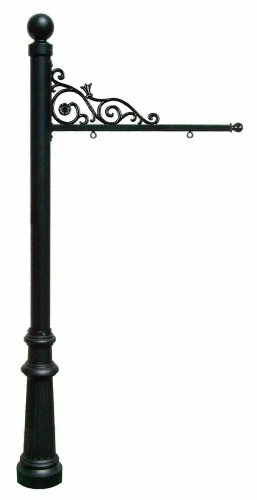 Unframed with 4 holes for flat wall-mount installation (screws not included). 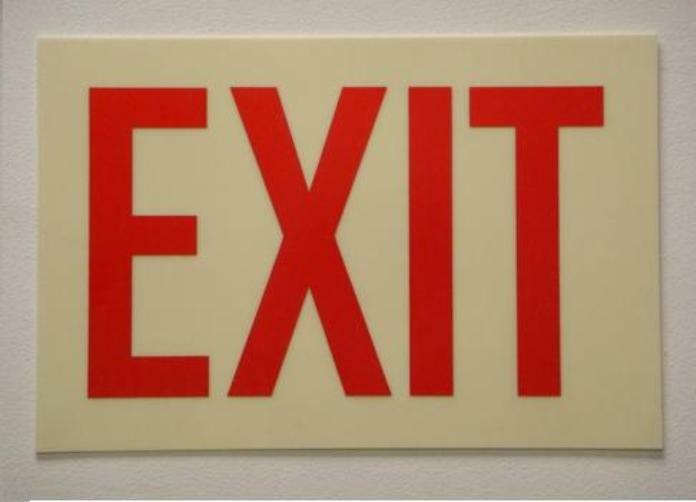 Two (optional) self-adhesive Chevrons included. UL924-Listed for the U.S. & Canada. Ceiling-mount hardware is extra. 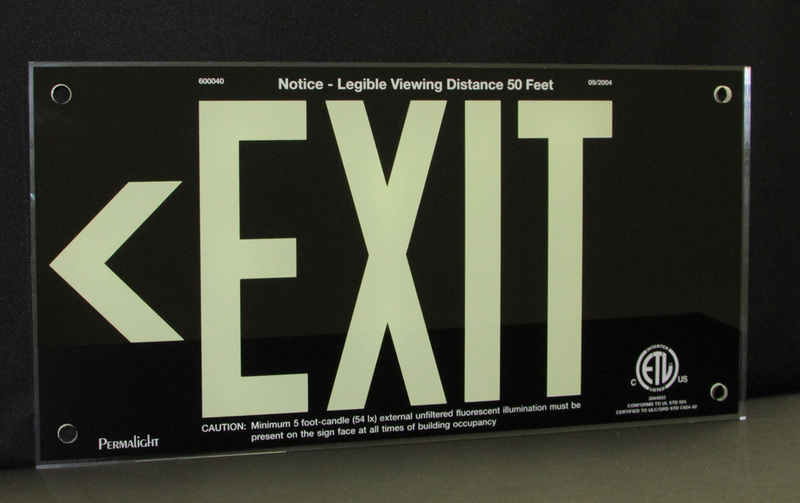 EXIT sign with Red reflective legend, Photoluminescent background, ASTM compliant rigid PVC. 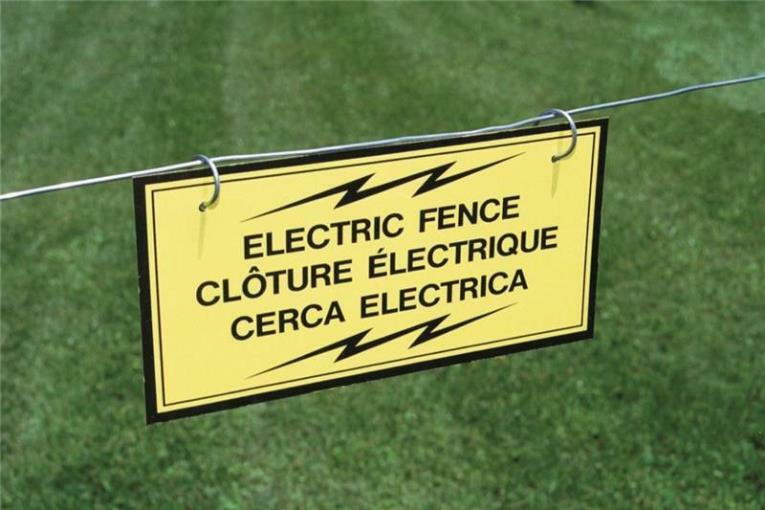 Visible with lights on, lights off and with flashlights. 8" x 12"
Elegant Acrylic Panel, Black background, 7" < EXIT legend, 8 3/4" x 17 1/4". 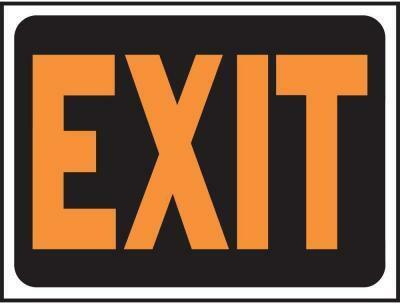 UL924-compliance tested by ETL Intertek Testing for the U.S. & Canada. Stand-off Barrels, item 600058 are extra. 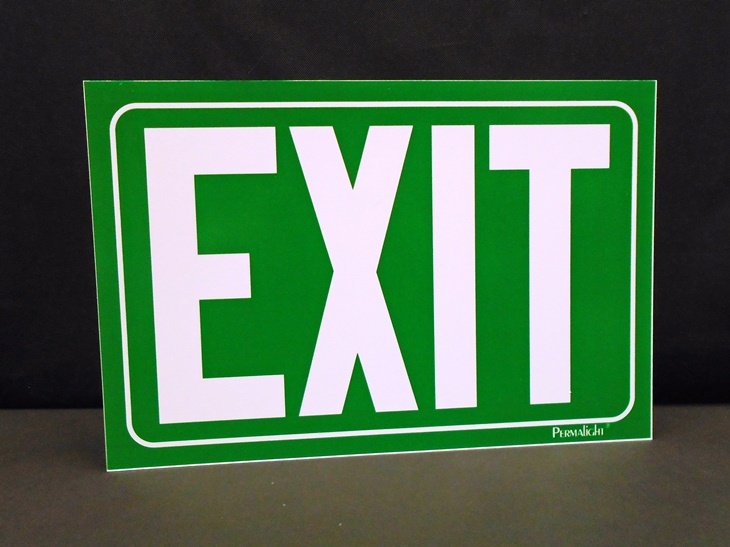 Green EXIT Sign, Green Background with Photoluminescent EXIT legend, Non-adhesive Rigid PVC, ASTM Compliant, 8" x 12"
FDC (FIRE DEPARTMENT CONNECTION) HEAVY-DUTY REFLECTIVE SIGN, 10 IN. X 14 IN. 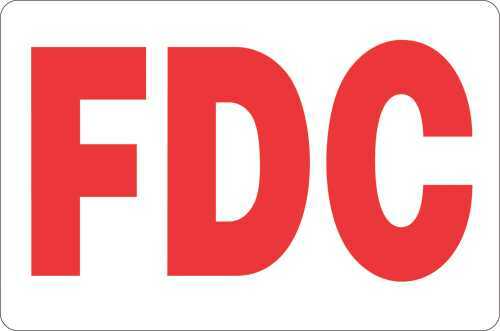 FDC (FIRE DEPARTMENT CONNECTION) HEAVY-DUTY REFLECTIVE SIGN, 10 IN. X 14 IN. 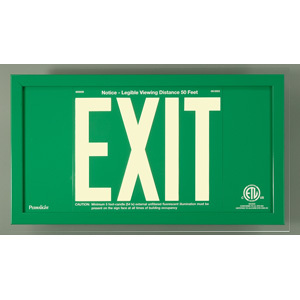 Green Aluminum EXIT Sign in Green Aluminum Frame, 7" printed EXIT legend, 10 1/4" x 18 3/4", two optional Chevrons included, flat wall-mount hardware included. ETL tested for UL924-compliance for the U.S. & Canada. 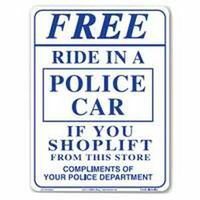 Also available double-sided. 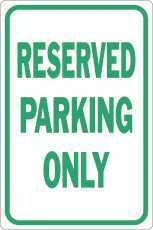 RESERVED PARKING ONLY SIGN, 12" X 18" RESERVED PARKING ONLY SIGN, 12" X 18"
PLEASE SLOW DOWN HEAVY-DUTY REFLECTIVE SIGN, 12 IN. X 18 IN. 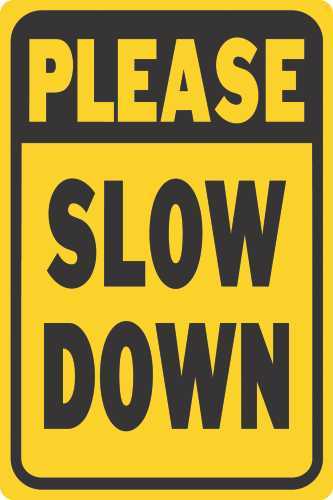 PLEASE SLOW DOWN HEAVY-DUTY REFLECTIVE SIGN, 12 IN. X 18 IN. 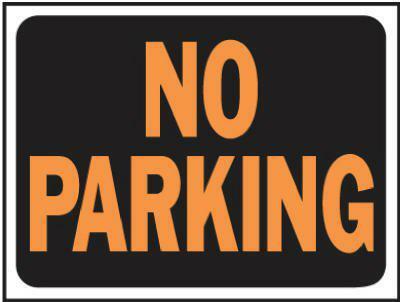 Easy To Mark Any Parking Lot Surface. Reusable. Stencil Size 5" X 24", 3" Lettering. 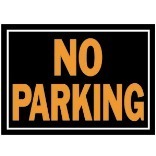 Description: No Parking. 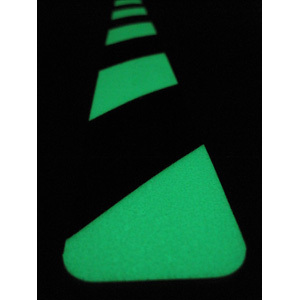 Anti-Skid Polycarbonate Floor Dots printed with Arrow, 4" diameter, PERMALIGHT Power 150/22 luminance, self-adhesive, 10 Dots per Package. 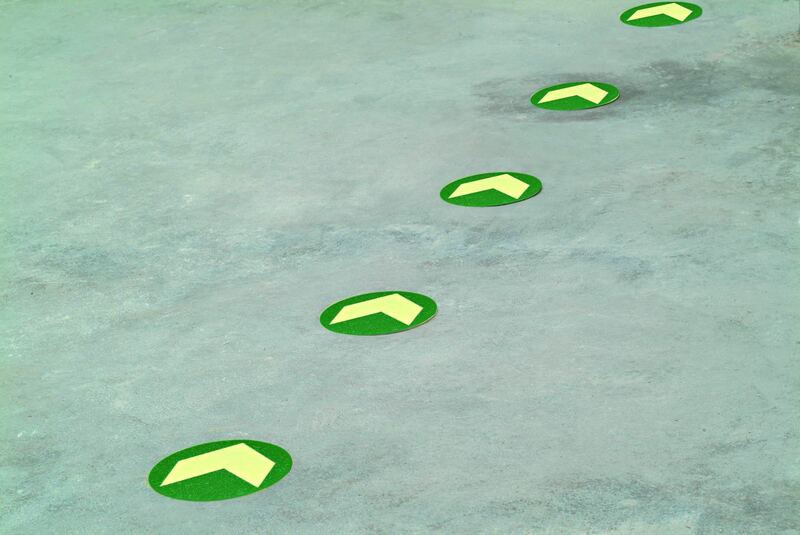 Ideal to mark Egress Paths on smooth-surface, medium foot-traffic floor surfaces. 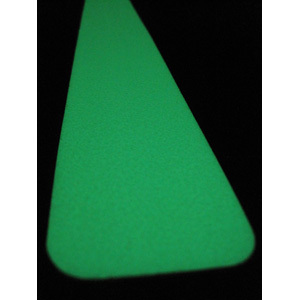 Stable "no-tip" design incorporates a low center of gravity and a wide base to ensure optimal visibility. 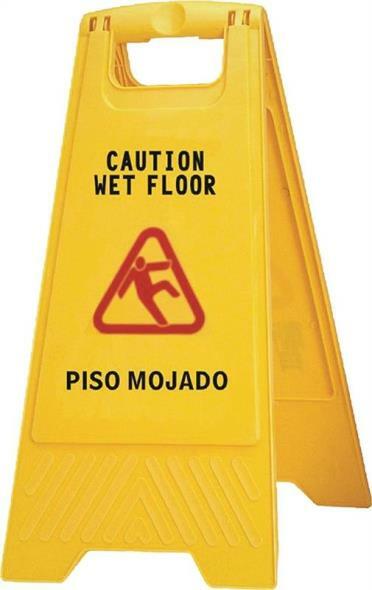 Bold international wet floor pictogram and "Caution" spelled out in English, Spanish and French help get message across. Self-opening feet simplify setup. 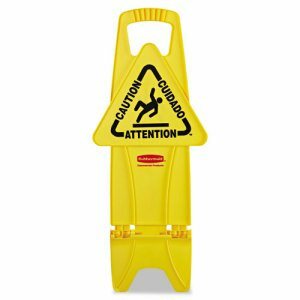 Sign folds flat for convenient storage and transport. 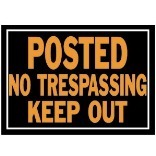 Frame Color: Yellow; Size: 13 x 13 1/4 x 26; Message(s): Caution; Material(s): Plastic.